Was social mobility greater under Henry VIII than it is under David Cameron? Henry VIII had a tendency of appointing people from humble backgrounds to senior posts in his government. 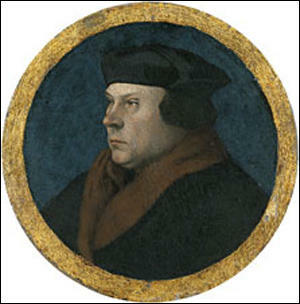 For example, Thomas Wolsey, who served as his Lord Chancellor (1515–1529) was the son of a butcher, whereas Thomas Cromwell, who held most of the senior posts in government (1533-1540), was the son of a blacksmith. Other important government officials, including archbishops, during the reign of Henry, such as Thomas Cranmer, William Warham, Thomas Audley, Thomas More, Richard Rich and Stephen Gardiner, came from families outside the power elite. This policy came to an end when Henry died and it is interesting to note that after Queen Mary had Cranmer burnt at the stake she replaced him with Reginald Pole, the son of Margaret Pole, 8th Countess of Salisbury. Henry was constantly looking out for fresh blood and expected his officials to recommend young men who had shown them that they had potential to be good administrators. For example, Wolsey was responsible for bringing Cromwell, Audley, Cranmer, Gardiner and Rich into government. Henry, of course, had political reasons for this policy. He was highly suspicious of the nobility and he mainly kept them out of the top posts. He feared they would use this power to overthrow him. This caused resentment amongst the upper class and they did what they could to bring these officials down. 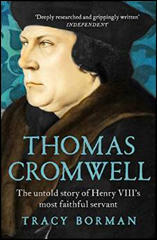 It was Thomas Howard, 3rd Duke of Norfolk, who was given the task of telling Cromwell that he had lost office. According to Charles de Marillac, Norfolk went over and ripped the chains of authority from his neck, "relishing the opportunity to restore this low-born man to his former status". Sir Robert Walpole was Britain's first Prime Minister. He started a tradition that was very different from the one established by Henry VIII. Walpole went to Eton, as did many of those who followed him: William Pitt, John Stuart, George Grenville, William Cavendish Bentinck, Frederick North, William Grenville, George Canning, Arthur Wellesley, Charles Grey, William Melbourne, Edward Derby, William Gladstone, Robert Cecil, Archibald Rosebery, Arthur Balfour, Anthony Eden, Harold Macmillan and Alec Douglas-Home. Most of the others also went to top public schools. Until the election of Harold Wilson in 1964, the only other non-public school prime ministers were Henry Campbell-Bannerman (1905-1908), David Lloyd George (1916-1922), Andrew Bonar Law (1922-1923) and James Ramsay MacDonald (1924, 1929-1935). I remember the discussions that took place after Wilson's 1964 General Election victory. It was argued that one of the reasons why Douglas-Home lost the campaign was that he appeared out of touch in a rapidly changing world. It was suggested that we had seen the last public school educated prime minister. At first this seemed to be the case as Wilson was followed by Edward Heath, James Callaghan, Margaret Thatcher and John Major. The Conservative Party thought that it was too risky to elect a leader who had been educated at public school. Of course, it took the Labour Party to change this mind-set when it elected Tony Blair as its leader. It was therefore not considered a problem to select David Cameron as its leader. Since coming to power Cameron has returned to the idea that the country should be run by former public school boys. Despite the fact that around only 7% of British children are privately educated, the figure for Tory members of parliament is 54%. As The Guardian pointed out in November 2013: "Recent figures based on current and previous salaries, shares and property suggest that two thirds of senior ministers are millionaires... And though some who sit around the cabinet table came from state schools (the foreign secretary William Hague is a good example), there is still something remarkable about how many of the top political jobs are currently held by people who went to some of Britain's major fee-paying institutions: among them, the prime minister, the deputy prime minister, the chancellor, and the mayor of London. Then, of course, there is the Eton factor, which encompasses not just Cameron and Johnson, but plenty of their Tory colleagues, aides and advisers. Cameron's chief of staff is an Old Etonian, as is George Osborne's chief economics adviser. The Cabinet Office minister Oliver Letwin is too, along with the Tory chief whip, George Young, and the chief of the Downing Street policy unit – Jo Johnson, younger brother of Boris." John Major, who left his south-London state school at 16, with only three O-levels, is one of those who recently argued: "In every single sphere of British influence, the upper echelons of power in 2013 are held overwhelmingly by the privately educated or the affluent middle class. To me, from my background, I find that truly shocking." It was of course very different during the reign of Henry VIII. By John Simkin (john@spartacus-educational.com) © September 1997 (updated April 2015).